You've been planning night and day, and finally you've created the perfect trap! Now all you need to do is wait. Is this the year you'll finally catch the leprechaun? Start a St. Patrick's Day tradition with this fun and lively children's book. It's tougher than you think! He'll turn your whole house upside down. He's quicker than a wink! You're a kid on a mission, an all consuming mission for one day a year. That mission....Catch a Leprechaun. They're wily, they're sneaky, they're pranksters, and they are determined to not be caught! 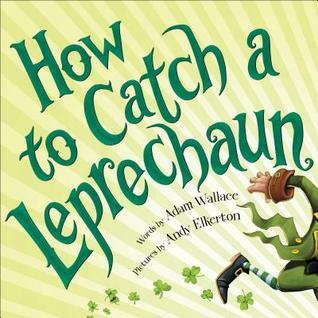 How to Catch a Leprechaun is a holiday book full of fun and laughs. I recently read it to a room of girls (ages 6-9) and they all thought it was the funniest book ever. They laughed out loud, especially when that clever leprechaun turns the toilet green. They shouted out when they realized that the pages rhyme and they spent the next hour talking about leprechauns and how they would catch one themselves. I am certain I sent them home to their families with plans forming and an evening full of laughter and glinting eyes. I am hopeful that this morning when they woke up their traps caught more than their unsuspecting parents. This is a great read for pre-school ages up to I'd say about third grade and would be wonderful as a big book for a classroom so all the students get the pleasure of seeing the fun happening right before them. For classroom/home activities this would be a great book to use in encouraging the youngest 'readers' to problem solve, practice engineering skills, and most importantly to let their imaginations run wild and fill your classroom/house with laughter. Adam Wallace is an author and cartoonist who loves writing and drawing ... this is lucky ... because he's an author and cartoonist who writes and draws! 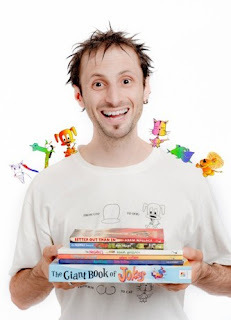 Adam's passion is to bring excitement and energy and humour and joy to children (of all ages!) through his books and videos. He spends his non-writing time thinking about writing and going to as many live music shows as he can. He's also teaching himself piano, and is about to take on the ukulele as well. 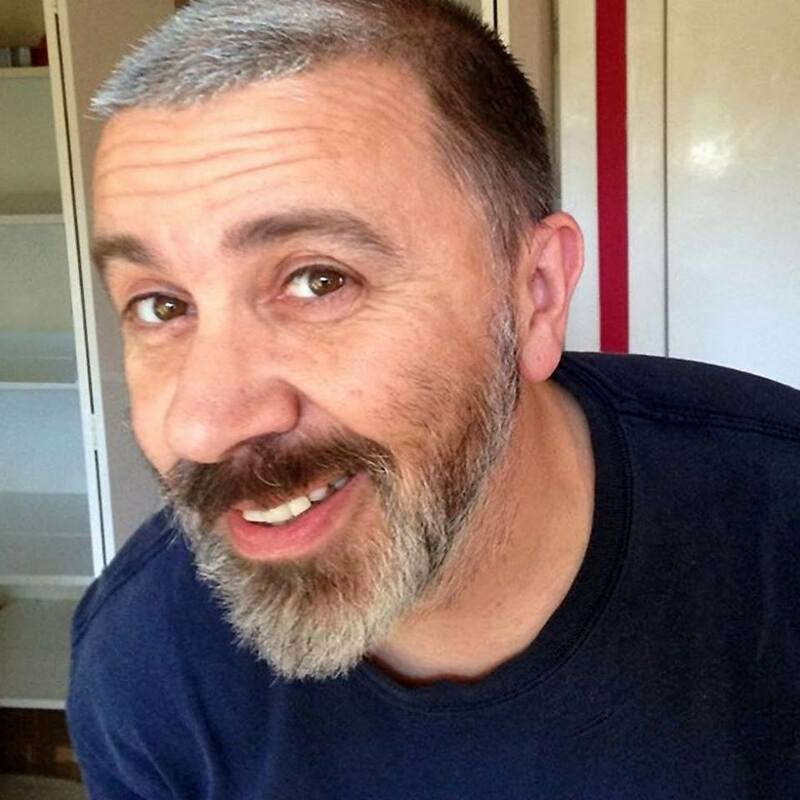 Adam's books include inspiring novels (The Pete McGee series), How to Draw books (Rhymes with Art), gross short stories (The Better Out Than In series), and funny, hilarious, crack-you-up books (Jamie Brown is NOT Rich). My name is Andy Elkerton, and I’m a children’s book illustrator living in Oban on the west coast of Scotland. I specialise in bright, colourful illustrations for picture books, advertising, t.v. and character design. After many years working in the field of computer games, I decided to go back to my illustrative roots and do what I’d always wanted to do…draw children’s books. I'm so glad to hear you liked the book. Also...because I know you're a big fan of Scottish Cattle...you'll be able to see a couple of Heilan' Coos too, if you have a root around my picture albums.